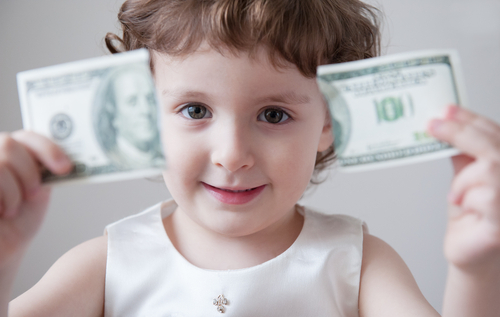 The nice thing about KidCash is that YOU determine the exchange rate. In our household, every three dollars he doesn't spend converts into one dollar at the store. I can pretty much give him rewards for all of the things he's working on such as homework assignments, waking up on his own, cleaning etc. because I have already factored this into my budget. If I wanted to increase the rate at which I'm awarding bonuses, I could switch the exchange rate from 3 to 4. He wouldn't really notice, he's only six. Too bad kid, you'll have to learn math fast so mom can't cheat you out on your allowance. Budgeting for different things can be complicated for a person who doesn't have a concept of money yet. Add in budgeting non-monetary items such as candy consumption or device time and it can all be very daunting. KidCash's colorful visual currency makes these concepts so easy they get it immediately. Giving candy dollars for sweets is obvious. Running out and losing that privilege requires no thought. Suddenly complex lessons are taught through experience and immersion in a way that children can immediately comprehend prepping them for the future to come. It allows you to give them a choice even when issuing a ticket. Generally, frustration rises when there is a loss of control. This is what happens during a typical power struggle when unproductive behavior occurs. KidCash helps reduce this stress by making the conversation later after both parties have had a chance to cool down. The second way we try to remove steam is to give some of that control back to your child. This is done by allowing them to choose the currency in which to deduct. It's still unpleasant but okay. My son has mastered his control over budgeting sugar so he often chooses this currency to be ticketed from which actually reinforces something else we are trying to teach him. Who wants their toddlers walking around with real money? Not me! With KidCash, it's not the end of the world if they lose it. I've also taught my children how to take care of their dollars. I'm still using the original set I printed with cheap staples stock paper but they're in excellent condition despite. There was a time when Ryan ripped a dollar out of spite or to see what would happen. I just looked down, smiled and said, "Welp, you just lost a dollar. Silly really, you should learn to take care of these so you can get more toys." That was the last time he did that. 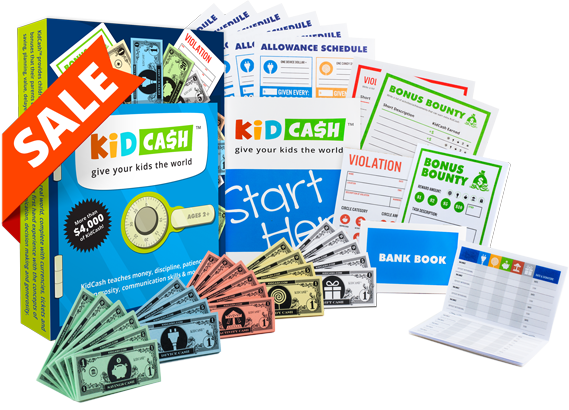 Just because you don't think of KidCash as real doesn't mean it ISN'T REAL to your child. If there is a system in place in which you exchange some form of currency for tangible goods or services, it's real. Think about when you get funny money in another country. When someone let's you pay a bill with it, you're convinced it works! The nice thing is that you are your child's Federal Reserve and can use it the way that works for you. We hope this helps you understand some more of the benefits KidCash can bring to make your life easier. As always, happy parenting!